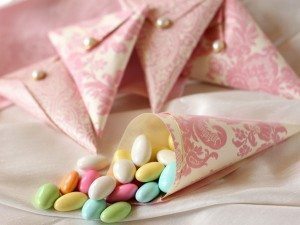 The traditional sugared almonds are the ultimate tradition favour but are rarely seen in the modern day wedding. 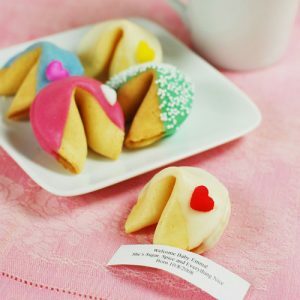 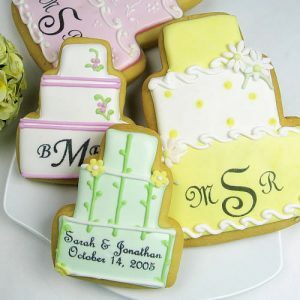 These little fortune cookies are so cute and could be done to match any theme- a great talking piece for guests too. 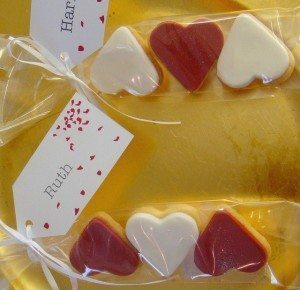 Chocolate hearts are always a favourite- who doesn't like chocolate right? 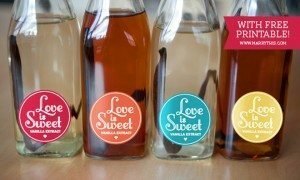 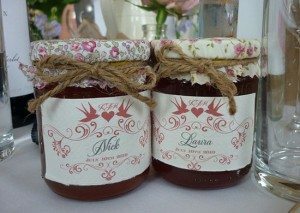 Making your own vanilla extract is really easy and you can really personalise it like these with a cute 'Love is Sweet' label. 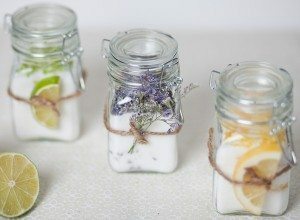 Infused Salt Favours- so pretty. 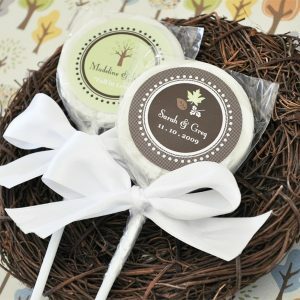 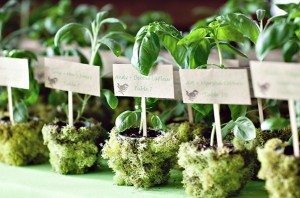 Love these herb favours- not a good idea if your guests are from out of town or overseas. 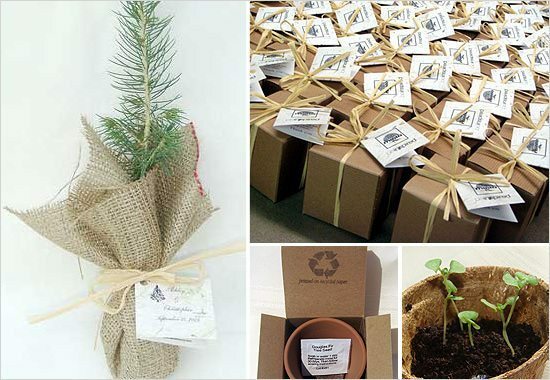 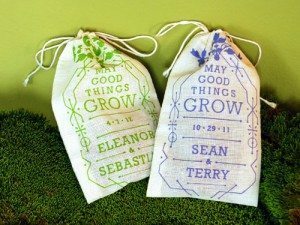 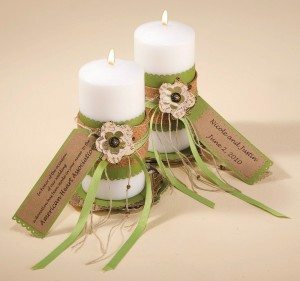 If you do want a living favour but have out of town guests- a little pocket of seeds is a lovely idea. 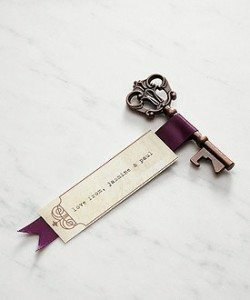 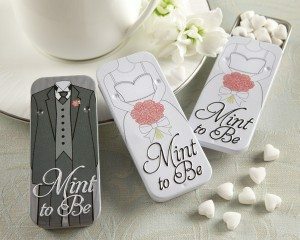 If you want a bottle opener as a wedding favour- this antique key is practical and stylish. 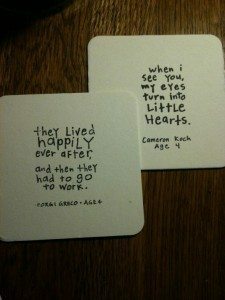 Coasters are not something I would jump to straight away but I LOVE these DIY coasters that were stamped with quotes and bundled in stacks of 12. 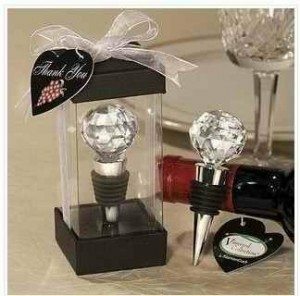 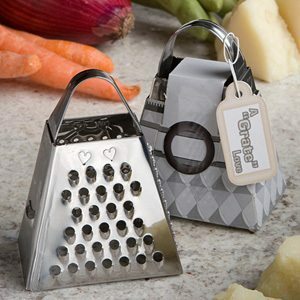 ...to a grater! 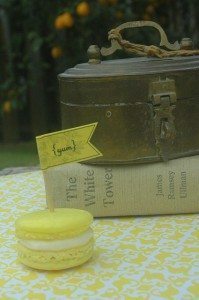 "A grate love." 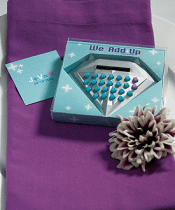 We add up calculator- funny or tacky?